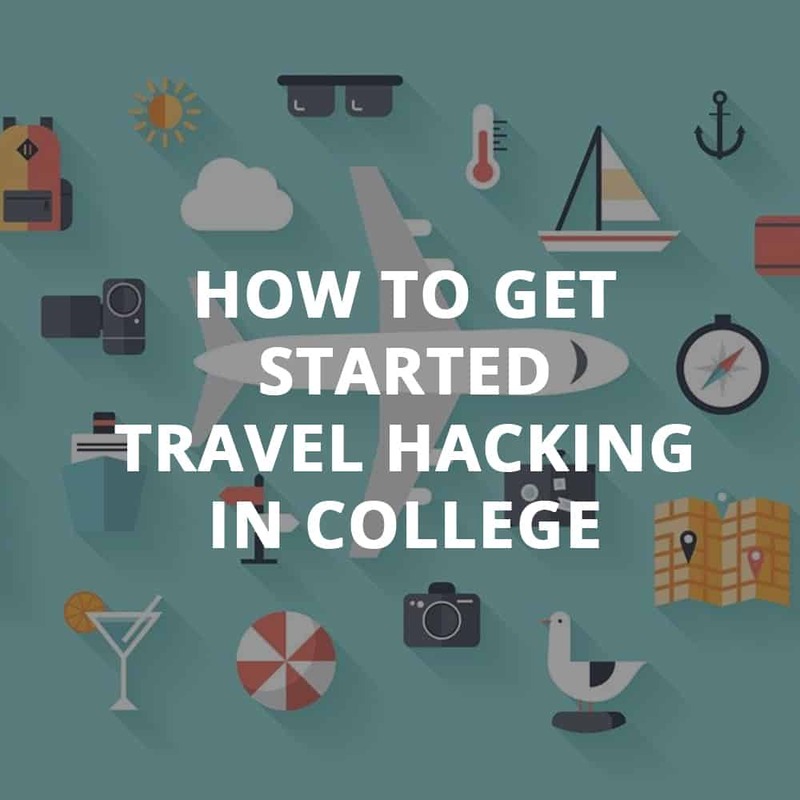 Are you a college student looking to travel as much as possible without breaking the bank? Getting into the miles & points hobby will allow you to travel for less. And it’s easy to get started! My name is Meghan and I write for Million Mile Secrets. I’ll show you how to build your credit and start earning miles and points, so you can make your travel dreams a reality. And visit family and friends back home! Let's jump in and see how you can start traveling today! Earning and using travel rewards is one of the the best ways to travel for nearly free. In the last 2 years, I've visited multiple countries, including spots like Panama, Spain, France, Belize, and Mexico, all for a fraction of the cost thanks to miles & points. Scott on our team used one credit card sign-up bonus to stay for free at a top-rated all-inclusive resort in Cancun. Learning a bit about miles and points might be your key to an amazing Spring Break trip. And it can help you get free flights and hotels in Europe, Asia, and more. Joseph on our team recently used one credit card sign-up bonus to fly round-trip to Hawaii for an epic hiking adventure. Here’s how you can do it, too – even on a college student's budget! The best way to quickly earn miles & points is with credit card sign-up bonuses. Some are worth over $1,000 in travel! But most rewards earning cards are geared to folks with a longer credit history. So you’ll likely need a decent amount of credit history to get a credit card that earns miles or points. If you don't have a long credit history -- don't worry. Below I'll share my tips for building one quickly. You need to show the banks you can be trusted with credit. That means paying your bills on-time and in full every month! You should NOT get started with miles & points until you can pay off your credit cards each month. Because the interest you’ll pay by carrying a balance negates the value of any miles or points you’ll earn. That said, if you handle your credit responsibly, it will help to boost your credit score. And check out Million Mile Secrets' guide to the best credit cards to boost your credit history and score. It's possible to get certain credit cards without a long credit history. For example, you can apply for the Chase Freedom card to start a good relationship with Chase. They have some of the best travel rewards credit cards out there! Once you establish a good payment history, you can apply for cards like the Chase Sapphire Preferred or Chase Sapphire Reserve. If that sounds interesting, Check out cards like this here. There's also the Citi ThankYou Preferred for College Students. And after you show you’re responsible with credit, you can apply for premium cards like Citi Prestige or Citi ThankYou Premier Card. Discover in particular has a ​few credit cards specifically for students. So you might consider the Discover it for Students or Discover it Chrome for Students. They’ll even give you a $20 reward each school year when you get good grades (over a 3.0 GPA). And the cards have no annual fee, so they’re a free way to build your credit! To unlock the valuable sign-up bonus, you'll have to put a certain amount of spending on the card. This can vary from $500 to $5,000+. Usually you have 3 months. And if you don't normally spend that much, we have tricks to help -- like making payments on tuition, rent, and your phone. In fact, one of our readers (who described herself as having a modest salary) just shared her story and pictures with us of her $30,000+ trip to Asia that only cost her $500 out of pocket. She stayed at luxury hotels too! Check out the Million Mile Secrets guide to 40+ ways to complete the minimum spending on your new cards. Put your spending on one of your credit cards instead of using cash or debit cards. Just make sure you can pay them in full at the end of each billing cycle! If you live off-campus, consider paying your rent with a credit card through services like Plastiq. Just keep in mind, you’ll pay a fee. So, this could be a good option to meet a card's minimum spending requirements. But it may NOT be the best strategy for regular rent payments. It's important to run the numbers to make sure it’s worth it! If you attend a school that accepts credit cards for tuition, use a travel rewards or cash back-earning credit card! Do the math if there are any fees involved, though. Because depending on how you want to use your miles, it may not be worth it to pay a fee to earn them. Ready to learn more about the best ways to use the travel rewards you earn? Check out Million Mile Secrets' step-by-step guides. You'll find in-depth information about airline and hotel programs, setting travel goals, and trip reports. And be sure to sign-up for our newsletter. It’s the best way to ensure you don’t miss out on amazing flight deals, big limited-time credit card sign-up bonuses, and any other important miles & points news! The easiest way to make your travel dreams a reality (even on a college student's budget!) is to earn valuable sign-up bonuses with miles, points, and cash back-earning credit cards. There are lots of great rewards credit cards college students can get to start building a credit history and developing relationships with banks. Check out the Million Mile Secrets Beginner's Guide for other tips and tricks before you get started! The key is to use your credit wisely. Along with your education, it’s one of your most valuable assets! Have you ever travel hacked with credit cards before? Can a student get these cards without any income? Can I list my parents’ income on the application? I’ve been an authorized user on 4 of my parents’ credit cards for about 2 years, and Credit Karma has my credit score listed as 793. Also, I’m 20 – do I need to be 21 to apply for my own cards? Thanks! You can’t lie on the application, so if it asks for your income, be honest. You can definitely get a student card, but some of the more premium cards might be a challenge until you have a bit of income.